Say "Bye Bye Bye" to this one! First, this book is from 1981 and designed for cancer patients. That is way too old to be of any use. 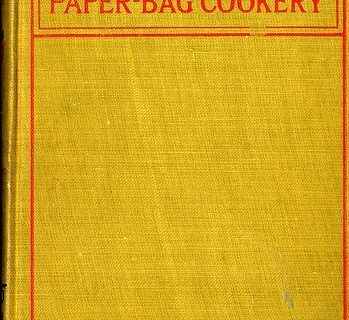 Second, this looks and feels like a regular, but boring, cookbook. 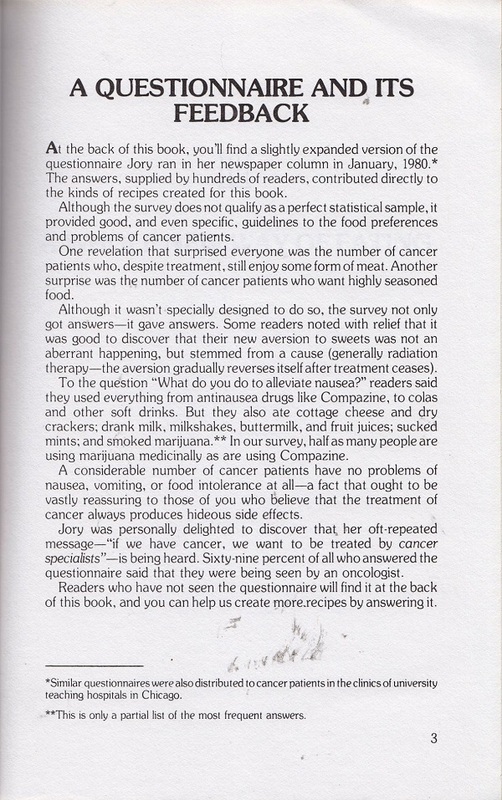 There are brief mentions of nutrition, but the main point is this is a compilation of recipes other cancer patients felt were tasty. 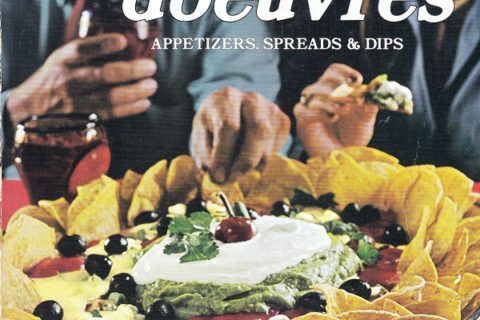 Looking through the recipes, they were nothing that seemed special or particularly interesting. Mexican bean dip or Chicken Parmesan are examples of some of these “special” recipes. 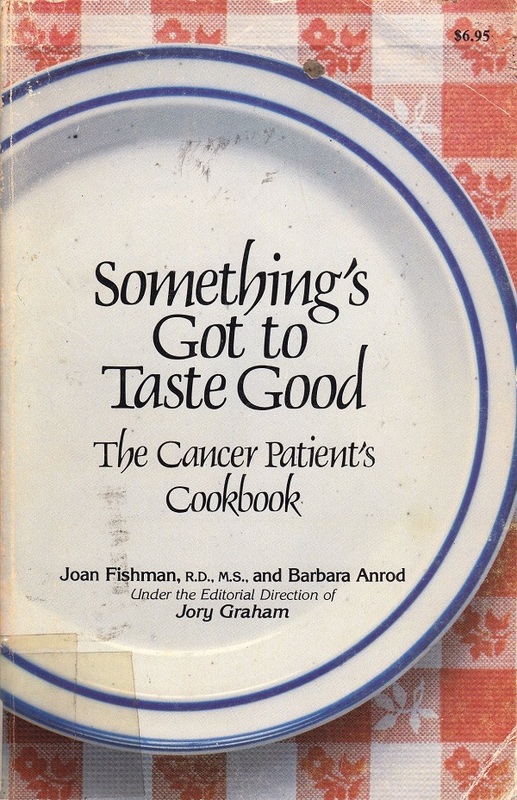 I love the idea of a cookbook for helping people going through chemo where nausea and appetite loss is very common, but this book hardly had any concrete suggestions for either problem. It was more an acknowledgement of the problems, rather than any specific suggestions. Since this is so tied to medical information, I would probably weed it using medical information standards rather than cookery criteria. Next Post:Say “Bye Bye Bye” to this one! My mother lived on icecream when she was dying of cancer, since that’s all she fancied. 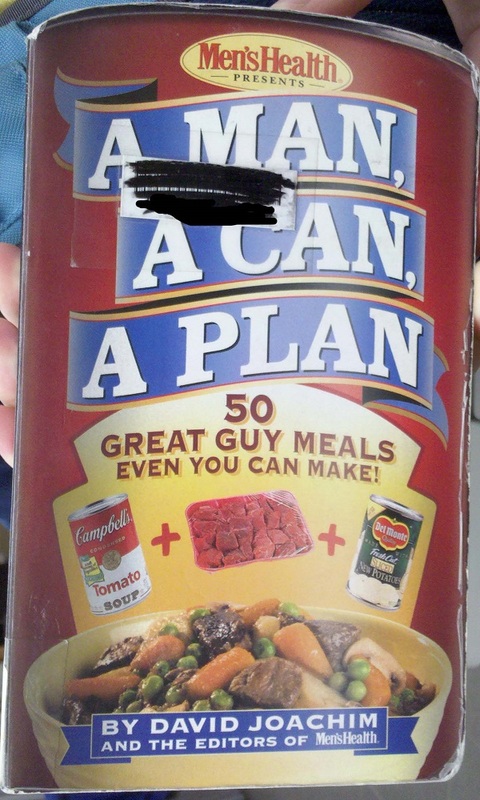 I understand the problem, but it doesn’t sound like this recipie book actually offers any good suggestions. 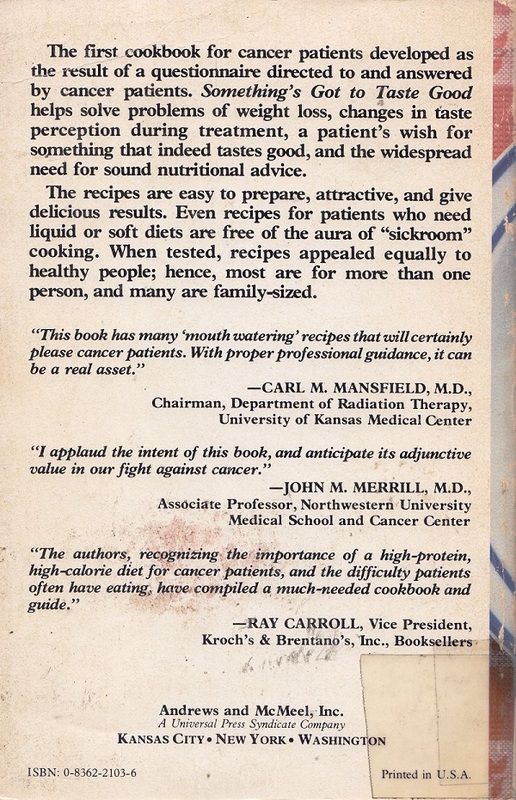 I can’t imagine what a book of this vintage could offer considering the state of the art of cancer treatment at the time, not to mention the other issues discussed. 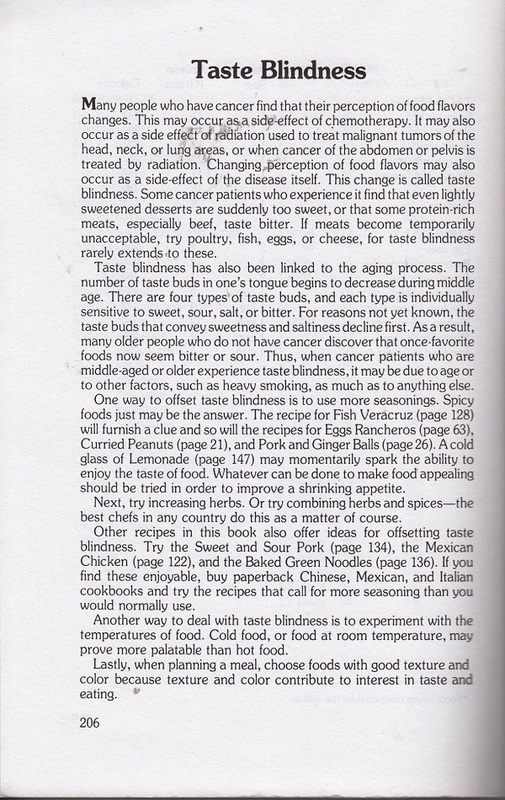 I’m not sure if the timing is coincidental or not, but “Cancer Nutrition and Recipes For Dummies” comes out any day now. Full disclosure: While I’m not an author on this book, I know about it because my wife is. The difference between that new book and this old book is striking. The idea of the book is good. I found that trying to find which foods tasted right and which went funny while on chemo was difficult, and my medical team didn’t really have any resources to help with that. Current information is definitely better than old though, and from the excerpts shown it looks like the research process on this one might could probably also have been better designed. The American Cancer Society Coobook is already five years old and a lot better than this.